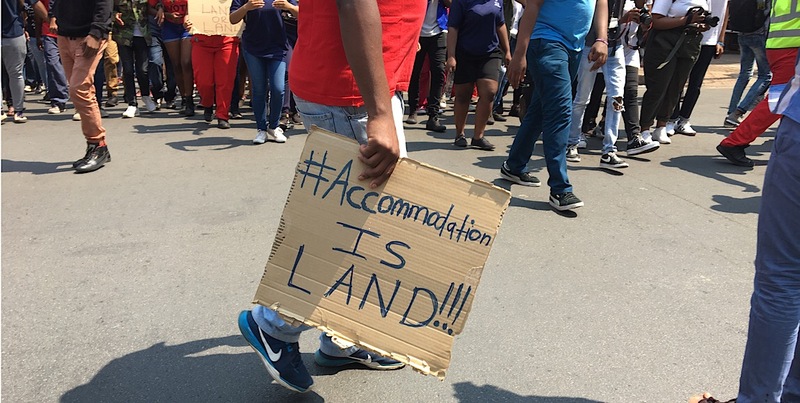 In the wake of an imbizo held on Wednesday at the University of Witwatersrand, students marched through the streets of Braamfontein to protest against the proposed 10% increase of residence fees for 2019. Led by the Student Representative Council (SRC) and All Residence Council (ARC) under a non-partisan banner, students marched to the City of Johannesburg (CoJ) building to hand over a memorandum of demands to CoJ Mayor Herman Mashaba. â€œThe struggle of accommodation is beyond our affiliation. It affects each and every one of us. We are trying to make it all inclusive, the question of accommodation in the city generally is one that stretches even beyond the borders of Wits University,â€ former Wits student and EFF member Koketso Poho said. Representatives from the South African Students Congress (Sasco), the Wits Progressive Youth Alliance (PYA), African National Congress Youth League (ANCYL) and Pan Africanist Student Command (Pasma) were all present as well as student leaders from University of Johannesburg and the Central Johannesburg College. According to the memorandum of demands, students are demanding that the municipality exempts the university and accredited private accommodation providers from paying rates and taxes to reduce the price of student accommodation. Students want some of the buildings in Johannesburg that the municipality has reacquired should be leased to institutions of higher learning to house students. Students are also calling for the streets of Braamfontein to be safe to walk in. They want a police station and a hospital in the city. ARC member Siphosihle Boyi said in an interview with The Daily Vox that students are protesting the 10% increment proposed by the university on res fees. â€œBasically, one of the solutions weâ€™ve come up with is that the government should not charge the rates on the students. Weâ€™re black people, we believe the land is ours and we donâ€™t understand why weâ€™re homeless because we canâ€™t afford to pay for what already belongs to us,â€ Boyi said. â€œFrom a PYA point of view, when we were called by the All-Residences Council (ARC) which governs all residences, we said we would be part of it because we want to unite behind the banner of the consciousness,â€ Sabelo Ngobeni, ANCYL secretary and PYA member said. Ngobeni says the protest action has been building throughout the year with a lot of students sleeping in libraries. He says with several residences being closed, it has left students without accommodation. â€œFor as long as students are excluded from university, mainly because they canâ€™t afford residences, it canâ€™t be,â€ Ngobeni said. Mahlangu said the message of #AccomodationIsLand is the message that was from 2015 when students called for free decolonised education and access to that higher education space. â€œFrom Herman Mashaba, we are submitting a memorandum to say this is a list of demands […] We are saying instead of not having rates, he can cap rates until we find a solution. 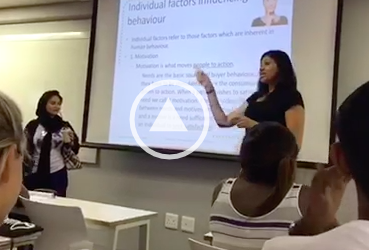 It doesnâ€™t make sense that students who do not have free education are struggling with NSFAS and have to pay rates. Wits University is said to pay if Iâ€™m not mistaken R 28 million worth of rates,â€ Mahlangu said. Mahlangu said they are saying instead of only problematising the university and Southpoint, they are pushing towards problematising the state and the Mayorâ€™s as well. She says the City is working towards gentrifying the city and the students are saying there are better solutions. After Mayor Herman Mashaba signed the memorandum, students demanded that he convene a meeting with Wits vice-chancellor, Adam Habib and Southpoint CEO, Ndumiso Davidson. Students said the meeting should happen by Friday at 9. Mashaba said that was too short notice and walked away from the students with the memorandum. Addressing journalists, Mashaba said they have allocated a number of the buildings to private developers for student and other accommodation. He said the city and the countryâ€™s budget is known and does not have the money to build. â€œUs as the City, Provincial and National Government, we donâ€™t have to money for these buildings […] That is why we are asking the private sector,â€ Mashaba said. Mashaba said the City has buildings which they have been taking back from hijackers and they are asking the private sector to build affordable accommodation for the people and students in the city.